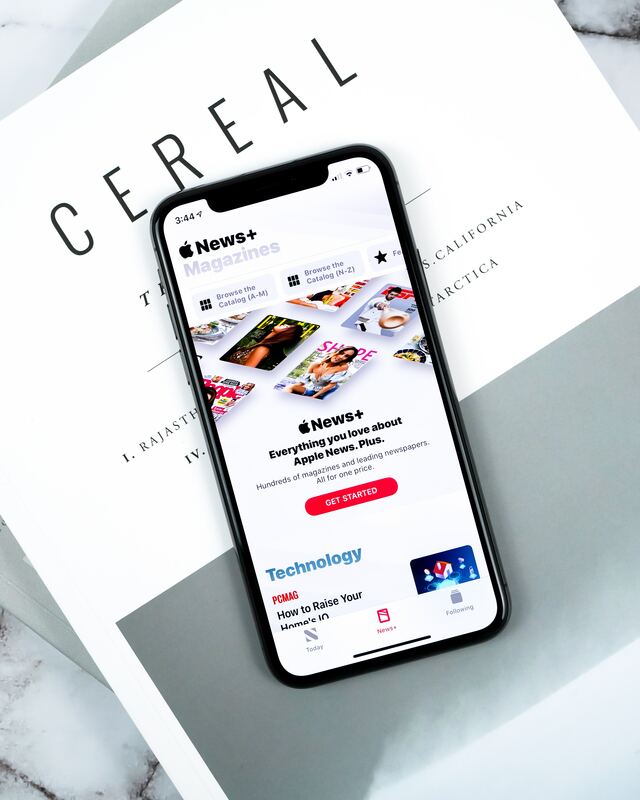 After paying at least $485 million, Apple said it will shut down Texture, its online magazine subscription service, now that it’s being replaced with the newly unveiled Apple News Plus. And if you’re part of the 30% who used Texture to get your favorite magazines digitally on Android or Windows devices, you will soon be out of luck. Only Apple iOS devices will be able to access the 300 magazines available from publishers. If a consumer does not own an Apple device, the $9.99 monthly subscription for digital editions will simply lapse as Texture fades away. At the time of the March 2018 sale to Apple, Texture had about 240,000 subscribers. ICYMI: The Athletic launches 20 podcasts exclusive to subscribers. Bumble is the latest digital brand to try extending its reach through a print publication. The dating app maker announced the launch of Bumble Mag, a lifestyle publication it produced in partnership with Hearst that offers stories and advice about dating, careers, friendship, and more to Bumble’s 50 million-plus users. The magazine is organized into four sections that align with the Bumble app’s different modes: “You First,” “You + BFFs,” “You + Dating,” and “You + Bizz.” The company says the new magazine will be distributed by its 3,000+ brand ambassadors — marketers and event hosts who work with Bumble to promote its brand. Users also can request a free copy of the first issue within the app. In more print news, Zagat New York City restaurants guide is about to be revived in print. For decades, the TV morning shows that are designed to appeal primarily to women have been produced mostly by men. But that’s changing. CBS named Diana Miller the new executive producer of “CBS This Morning,” filling a void that was left when Ryan Kadro exited the show in December 2018. For the first time, all three network morning programs have female executive producers, the day-to-day boss of the show. Roxanna Sherwood became EP of ABC’s “Good Morning America” in July 2017 and Libby Leist became EP of NBC’s “Today” show in February 2018. The gender dynamics of morning TV have gained more attention in recent years due to the downfalls of Charlie Rose at CBS and Matt Lauer at NBC. In related news, Folio magazine recently announced its list of top women in media for 2019. Over at the Los Angeles Times, Shani Hilton joins the paper as deputy managing editor for news. On the flip side, another iconic brand, Johnson Publishing — former owner of Ebony and Jet magazines — filed for bankruptcy.